Juniors Wiggle and Sounds Pals | It has to be pulled for wiggling and can be rotated up to 360 degrees. Soft and attractive, this wiggle and sounds pal will instantly become your kid's favourite. 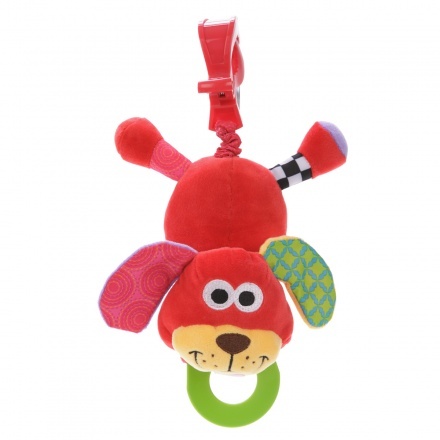 Sporting a plush dog with colourful legs and checks, this toy has a clip for attaching and is durable.